Next month, July 17th through 19th, Chicago will host the first international gathering of scholars whose research focuses on US Latinas/os. The conference will be held at the Chicago Palmer Hilton, and will bring together for the first time scholars, teachers, and students who study the history, politics, and culture of the many Latina/o communities in the United States. US Latinas/os comprise 17 percent of the US population, and are now the largest minority group in the United States. They make up more than 20 percent of the state population in California, Texas, New Mexico, Arizona, Nevada, Florida, and Colorado. Yet, there has never been a gathering focused on the history, culture, and politics of the many national-origin groups that comprise the many Latina/o communities in the United States. “We know so much about the history and culture of Mexican Americans, Puerto Ricans, or Cubans, for example, but we know so little about the similarities and differences between these various communities,” said Raúl Coronado, one of the conference organizers. While organizations and conferences have been held that spotlight the largest Latina/o communities in the United States, namely, Mexican American, Puerto Rican, Cuban, and Central American, none have attempted to bring together scholars whose work focuses on all these communities. Likewise, no conference has sought to bring together a vastly interdisciplinary group of scholars whose research focuses on the history, politics, and culture of Latinas/os. Conference is open to the public. 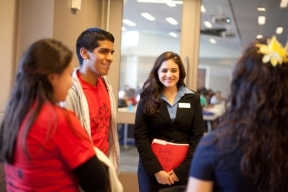 For more information including the conference program and registration fee visit: www.latinostudiesconference.com.